The documents and certificates that have been issued in the United States and are intended for use in Finland must be legalized by Apostille authentication. The U.S. authority is in charge of legalizing the document. During the legalization process, the Apostille is attached to the document. For documents issued by a state, such as birth, marriage, divorce, and death certificates, the Apostille authentication is always carried out by the State Department of the issuing state (or an equivalent authority, e.g. Secretary of State). The contact details of the states’ issuing authorities are available on the HCCH website. The documents issued by the United States, such as the U.S. Naturalization decision, are Apostille authenticated by the "US Department of State" Legalization Office in Washington, DC. A certificate issued by a U.S. notary (notarization) is not an Apostille authentication. 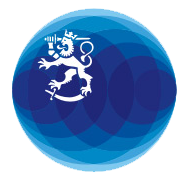 Finnish missions do not have authority to issue Apostille authentication. An Apostille certificate for a Finnish document can be obtained in Finland from a Population Register Office.